39 Labour MPs and peers have called on Jeremy Corbyn to suspend Christine Shawcroft from the Labour Party. In an open letter addressed to the Labour leader, Siobhain McDonagh and co-signatories urge Corbyn to suspend Shawcroft “immediately, thus ensuring she is removed from the NEC [national executive committee]”. They say her continued membership of the party’s ruling body is “utterly wrong” and “highly offensive to the Jewish community”. Co-signatories of the letter include junior members of Corbyn’s shadow cabinet Mike Kane, Jonathan Reynolds and Lord Hunt. It comes after Corbynsceptic groups Progress and Labour First launched an online petition yesterday demanding Shawcroft’s resignation from the national executive committee. It has so far gathered just under 2,000 signatories. Shawcroft resigned as chair of Labour’s disputes panel earlier this week after it was revealed she sent an email on Sunday backing a party member who had recently been suspended over alleged antisemitism. However, as a member of the NEC, she retains her place on the disciplinary sub-committee and has a say over how complaints are dealt with, although she will no longer chair the meetings. Shawcroft claims she did not see suspended council candidate Alan Bull’s Facebook post, which shared an article titled “International Red Cross report confirms the Holocaust of 6m Jews is a hoax”, before sending an email in support of his reinstatement to the party. She later called Bull’s online post “abhorrent” and said she was “deeply sorry”. LabourList understands that amongst the Left on the NEC there is so far little support for the idea of Shawcroft stepping down as a member of the ruling body. Sources close to Shawcroft point out that she is already due to step down at the next round of NEC elections this summer. If she were to resign immediately, her place on the ruling body would be taken up by Eddie Izzard, seen to be a Corbynsceptic. 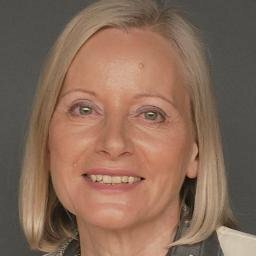 Richard Angell, director of Progress, commented: “Christine Shawcroft’s defence of a known Holocaust denier is disgusting. Resigning from the Disputes Panel is a sop. The Peterborough council candidate Alan Bull was accused of sharing an article on Facebook calling the Holocaust a “hoax”, suggesting ISIS and Israel worked together and describing David Miliband as “a Jew… paid by Rothschild”. The petition calling for Shawcroft to resign from the NEC says: “Christine Shawcroft, in her role as Chair of Labour’s disputes panel, intervened to lift the suspension from the Labour Party of a known Holocaust denier. This is a totally inexcusable and abhorrent act.